Café Pouchkine Paris, which has recently incorporated Julien Álvarez (so good #8, so good #15) as pastry chef, has just presented a sweet reproduction of the Cloud bag from the luxury accessory brand, Jimmy Choo. It is limited edition with aromas of rose and vanilla, almond cookie with pear compote and a base of almond crocant and fleur de sel. 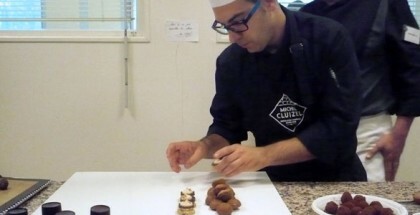 But this is not the only amazing creation that can be found in this pastry shop these days. 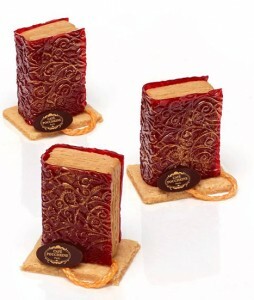 Literature lovers have the chance to purchase a piece in the form of a book created by Julien with which he wishes to pay homage to the Russian novelist and playwright Aleksandr Pushkin, and in which he blends candied raspberries and caramel cream with salted butter on a sablé fondant biscuit.